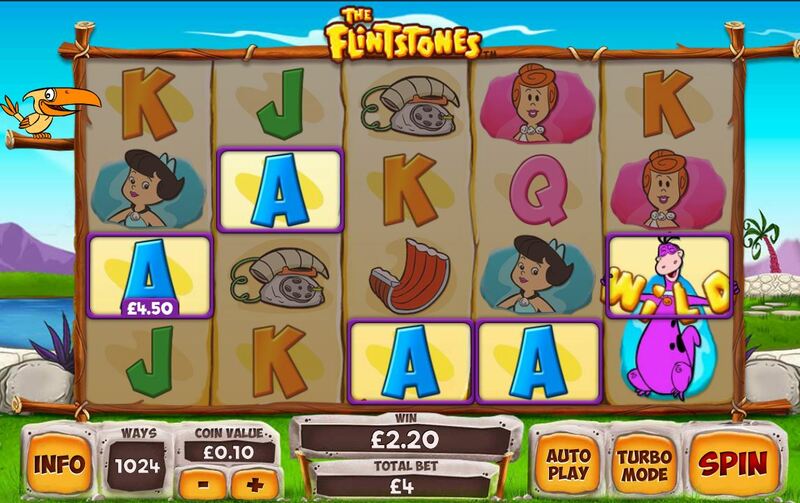 The Flintstones slot is another trademarked Playtech game like their Top Gun slot. Again there are 5 reels, but this time 4 rows to make a 1024 way game. The theme is obvious and Fred, Barney and the dinosaur Wild all appear stacked 2 rows high too on all 5 reels, Fred being the highest symbol. 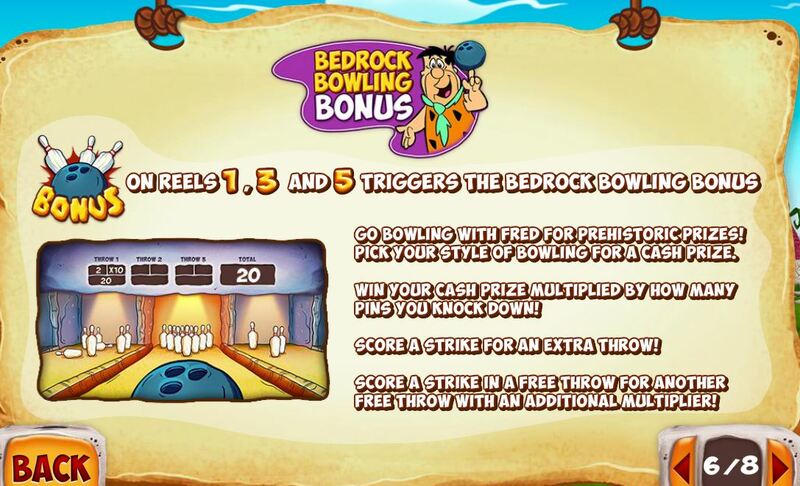 You can get scatters on reels 1, 3 and 5 to win Fred’s Bowling Bonus but perhaps the best is to land 3 Rock House scatters on the centre 3 reels to award a choice of free spins bonuses. 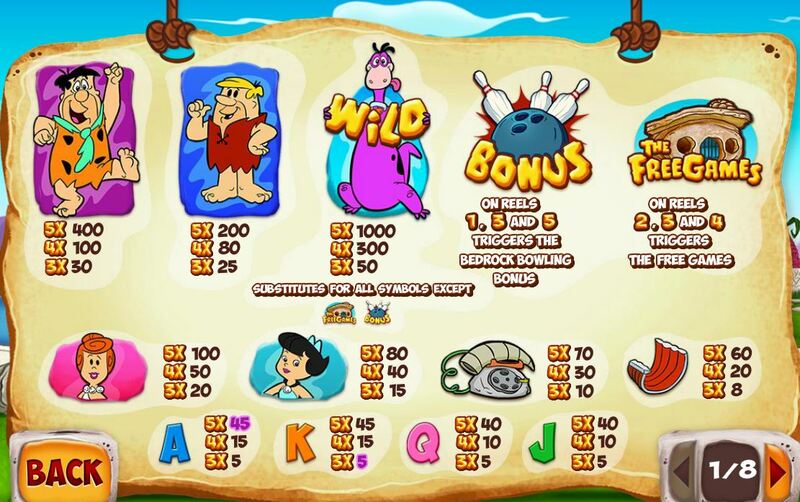 You can opt for 10 Dino multiplier games where Dino Wilds can multiply wins, 12 Great Gazebo spins where he flies over the reels to help you get better wins and lastly 5 Wilma Wild free games. 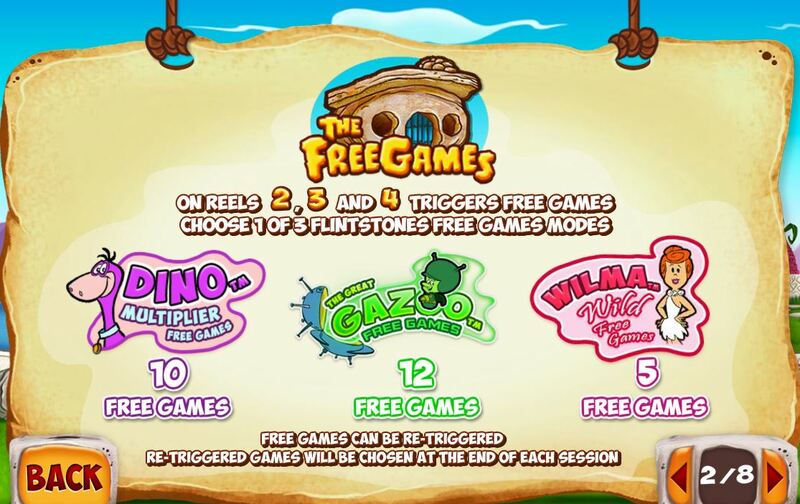 If you retrigger you get to choose again after the original choice has ended so can get 2 or more bonuses in one free game session! RTP is 95.80%.